I ate takoyaki for the 1st time here. The taste is good. The size is just nice. The price is also cheap that is only RM3.80 for 4 pieces. They serve in square Polystyrene container. I don't know whether Tako Tao is available in others Jusco or not. And I don't think Jusco Ipoh has it except they just open the new branch in the 8 months my industrial training period. The size is bigger than the Ebitako one and only 3 pieces for 1 set. 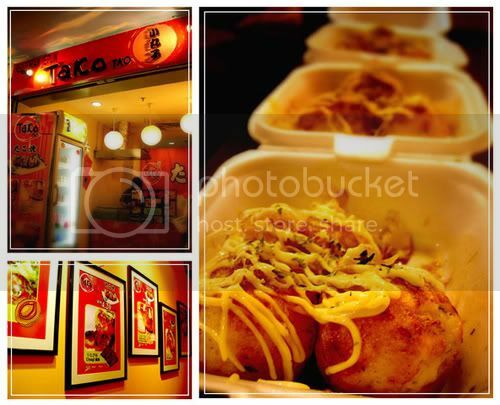 The price, I forgot.. Hehehehe... since they are big, I can't really tase the tako. They serve same way as Ebitako. The taste is bad. 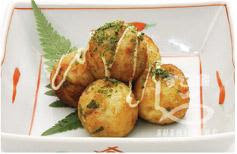 The takoyaki even dry and taste like not enough ingredient. No sauce and fish flake and it's weird. But you'll get more takoyaki for one set that are 5 pieces. Hehehe...The price is around RM5 to RM6. Actually I forgot the price. ly had tako tao at Jusco MV and at SG Wang Rooftop... between these two i prefer MV one..
eh dah merasa sume tako ni ke? a'aa yg ni seme yg da penah rase..
tp mebi rasenye same je kt ngn OU nye..